The Garage in Glasgow is a great venue with really friendly staff. The crowd was good, if a little subdued. The sound at the venue was very good and the band were on their very best and very practiced form. The sound in the theater was solid! Missed the opening acts but Katatonia was fantastic all around. VERY tight sound with each of the members shining on their instrument. If you guys see this, Thank you for coming all the way from Sweden and making my night into something special and heart felt. I was unable to attend as the venue failed to return any of my several communications regarding disability access. I hope to see the band again at an alternative venue in the future. Well-chosen setlist with an encore featuring my favorites. They had the latest album signed by all the band members for only $15. Been listening since Last Fair Deal Gone Down, and this was a very memorable performance. Solid performance by all the acts. 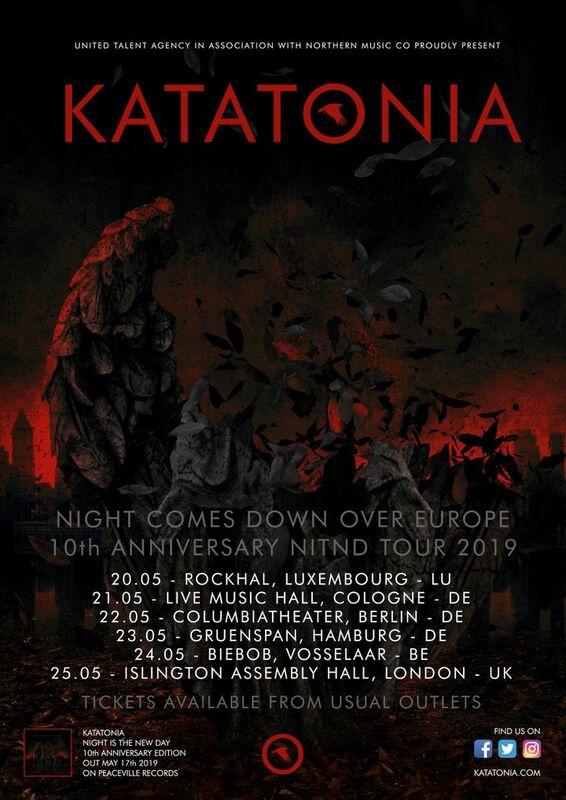 Katatonia isn't a great live band, but they sounded tight and represented the best parts of their discography very well. The show was great. I loved the State Theatre venue. It was perfect for this show. All of the bands sounded great!